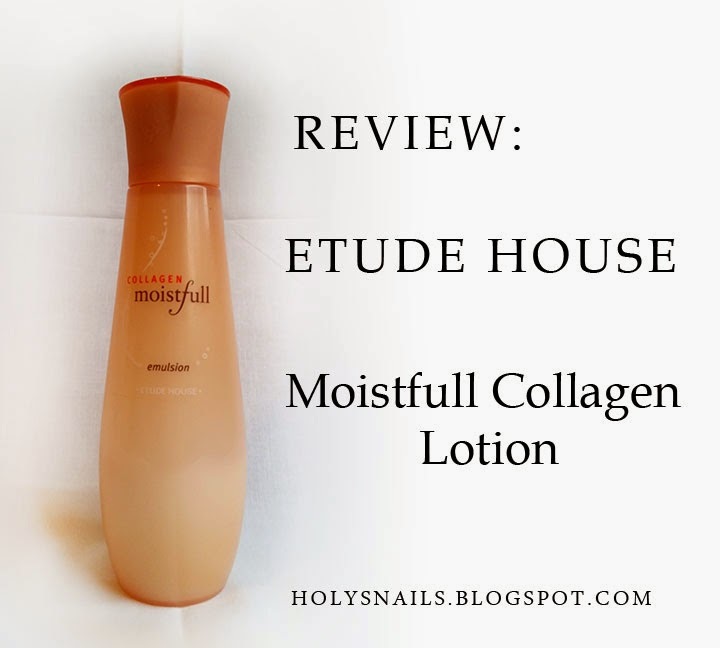 Review: Etude House Moistfull Collagen Lotion | Holy Snails! Have you ever bought something, and it works just fine, but it makes you so annoyed every time you look at it? That's how I feel about Etude House's Moistfull Collagen line. And the thing is, it's not their fault. It's mine. Moist and rich textured facial emulsion supplies penetrating moisture and collagen treatment to improve complexion health and look. Use hands to gather and apply emulsion to skin by gently massaging the face until hydration is absorbed. Gently pat to finish. Here's where I get so annoyed. I bought this from Soko Glam for $18. 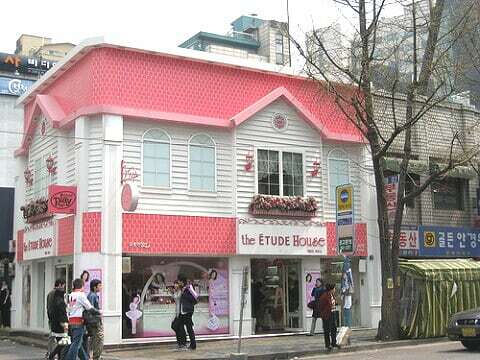 You can even get it straight from Etude House's website for $12, no sales or coupons. I've found it on some Korean sites for around $8 even. I know that's probably not something others get upset about, but overpaying for things just irks me. I feel cheated. Moving on from that though, this is a very affordable moisturizer. I wish they would standardize it, because on their website, they call it a "lotion" but the bottle clearly says "emulsion." They all mean the same thing, but...still. Anyway, you can find it for around $12+ for 180 ml of product, which is a pretty sweet deal, at around $0.07 per ml (compare it to su:m37 Water-Full Gel Lotion's $0.46 per ml!). I've been using this product generously since I first bought it in October, and there's still enough for probably two or three more months with daily use. If you use it once daily, it should actually last you almost a year. I've yet to run into something this affordable in my search for the perfect routine. Hydrolyzed Collagen is the star ingredient, and is 11th ingredient on the list. From what I could find, its main function in skincare is moisturizing and skin conditioning. Paula's Choice says it has high levels of hydroxyproline, which functions as a water-binding agent. Hydrolyzed collagen does much more for your hair than it does for your skin, as it cannot just inject collagen, but it does function as a pretty decent moisturizer. Aside from that, it has a couple of emollients and more moisturizers. Caprylic/Capric Triglyceride and Caprylyl Glycol are both fatty acids, and are either derived from coconut oil, or synthesized. They are considered excellent moisturizers, skin conditioners, and emollients, but can break some people out pretty badly. It has a pretty short ingredients list (especially when you compare it to su:m37's stuff! Whew! ), and not too many standouts. On the negative side, it does contain a couple popular acne and irritation triggers, notably cetearyl alcohol, which quite a few people are sensitive to. Triethanolamine is red-flagged on CosDNA, but it is used in miniscule amounts as a pH adjuster. Also, while not listed as a trigger, but can be for some, is fragrance. 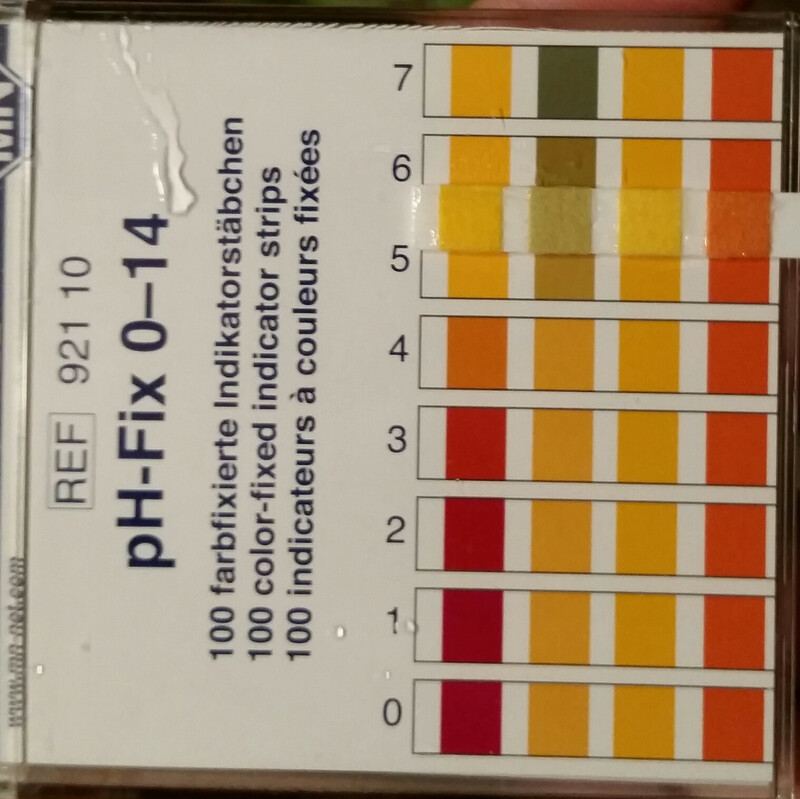 The pH is right around 5. I had thought after testing a few moisturizers that most/all of them should be around the 5ish range, but apparently that's not so, and some very alkaline moisturizers are pretty prevalent on the market. Thankfully, this isn't one of them. 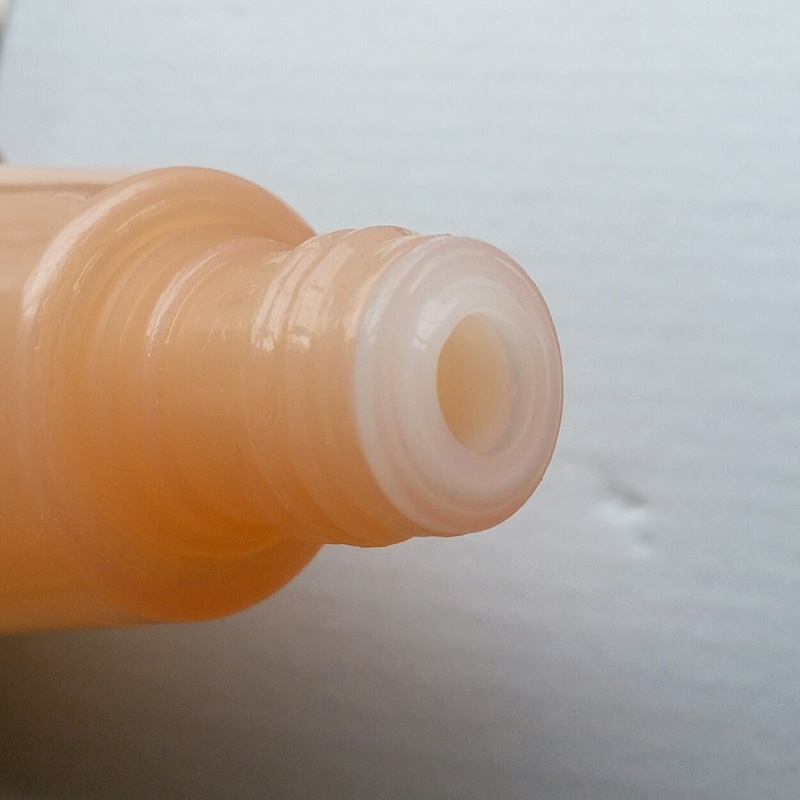 This moisturizer comes in a really plain-jane, translucent plastic bottle. The lid twists off, revealing a reducer style opening. This stuff is pretty thick, so I really would have appreciated a pump, but I guess a little more elegance would've involved a hike in price. It's not difficult to control how much product gets out, but it does take a little patience as I'm rushing through my morning routine to dispense. I didn't break out from this, which is the good news. Now the bad. I don't know what it is about this that clashes with my Tretinoin, but on some nights when I don't wait the entire 30 minutes after application before going on with the rest of my skincare, everything else will be fine until I apply this. Then my face turns bright, angry red, and my skin feels like it's on fire. I can't really blame this, as it's my fault that I didn't wait the full period, but none of my other products do this, even other moisturizers. This product is just so...meh. It's boring. I know skincare doesn't have to be all fancy ingredients and gorgeous packaging, and especially at such a low price point, expectations should be pretty low. I just feel like this doesn't do anything for my skin. The Good: Very affordable, will last a long time. The Bad: Leaves a shiny finish, leaves residue, contains some potential acne triggers (cetearyl alcohol).